Back in March, department store JCPenney opened up Joe Freshpop-up shops, which is exactly where we found this week’s Fabulous Find. 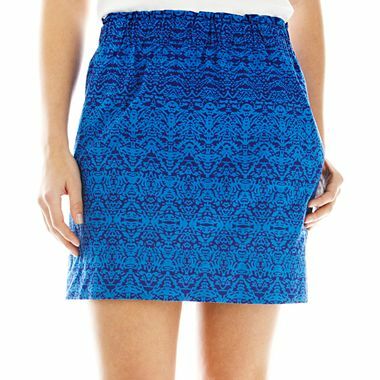 This cinch-waist skirt has an on-trend abstract print, plus the pretty blue color means it can be paired with a number of different hues. 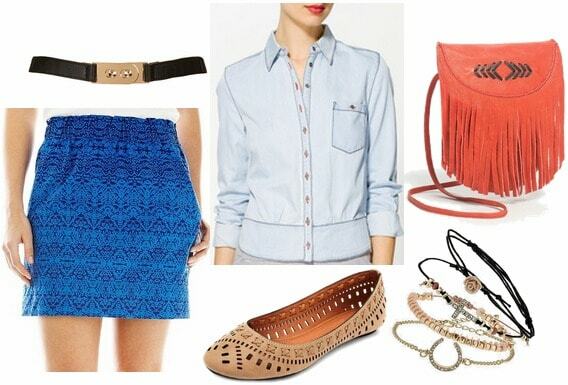 Create a casual, yet polished look with this Fab Find by tucking a chambray button-up into the skirt. Next, add a black-and-gold belt, which not only helps to define the waistline, but also adds visual interest. Neutral cut-out flats are a comfy, yet stylish choice, while this fringed handbag adds a bright pop of color. Accessorize with several delicate mix-and-match charm bracelets to complete the ensemble. 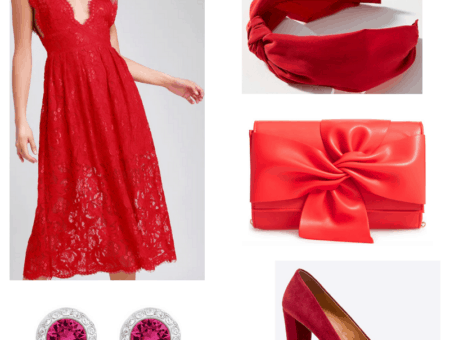 This next outfit is a bit dressier than the last, and would be ideal for a casual evening get-together. Start by pairing our Fab Find with a feminine eyelet cami – we love the way a pale yellow pairs with the eye-catching blue of the skirt. Wedge sandals continue the dressy feel of the outfit, while a matching chain-strap bag adds a sleek touch. For the finishing touches, accessorize with an adorable bird-shaped necklace and paint your nails a bright blue shade. 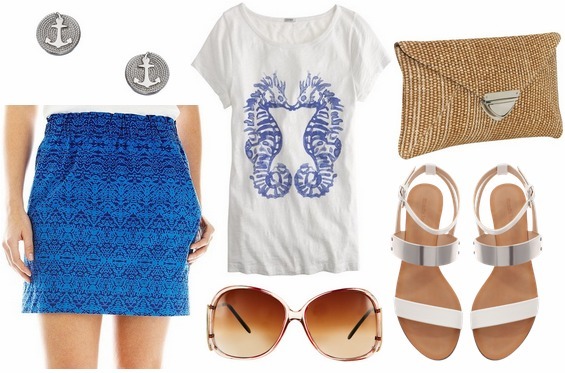 Our final look is nautical-inspired – a cute choice for a summer getaway! A seahorse graphic tee pairs nicely with the printed skirt, while metallic-trimmed flat sandals add a fashion-forward touch. Anchor earrings continue the nautical vibe, while a straw clutch gives the outfit textural interest. Last but not least, accessorize with a pair of oversized sunnies. 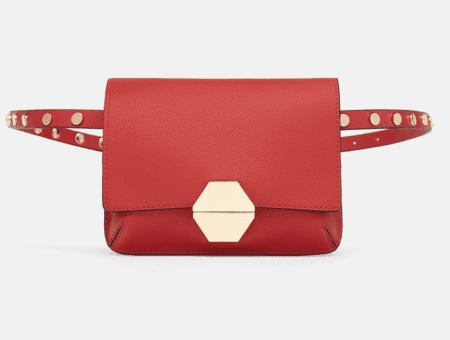 What do you think of this week’s Fabulous Find? Would you buy this Joe Fresh skirt? Which look is your favorite? How would you wear the skirt? Remember to leave a comment below and tell us what you think!